Hydration during labor is apparently key. After reading many articles covering the subject and it's importance, I decided not to be caught off guard concerning my hydration levels. They say that labor is pretty much like running a marathon in many ways. First you have to be physically prepared, you have to train your mind and also make sure you have sufficient energy and hydration.Because of this I thought of getting a few electrolyte drinks ready. Electrolytes are great because you don't have to drink as much as you would normally for the same amount of hydration. Most blog posts I found on women keeping hydrated during labor was all about powerade and energade. Personally, I'm not the biggest fan of high corn syrup and artificial flavor and colors in my drinks so I try to avoid those type of drinks in general. That is why I opted for a more natural approach. I decided to get natures very best source of electrolytes; Coconut water. So far during the end of my pregnancy I struggled a bit with juices and coconut water as it gave me slight heartburn but I finally found a solution to this tiny problem. Just freeze it! 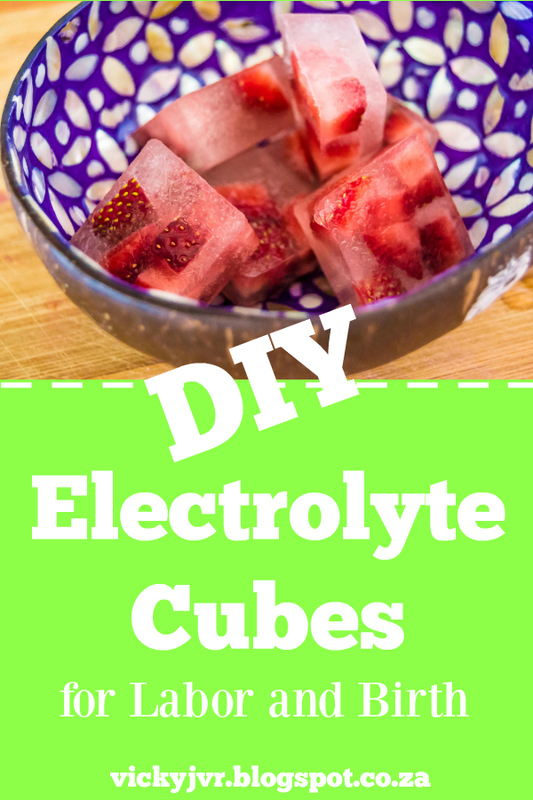 So I set about making my very own electrolyte cubes for labor and delivery with my favorite brand of coconut water at the moment and some cut up berries. The berries just give a tiny bit of flavor and a slight energy punch ( which I'm guessing would be helpful during the birthing process). In some of them I also added a drop of lemon juice, but that, as well as the fruit, is totally optional. What are your go-to hydration drinks and methods? Have you tried coconut water during labor? I will let you know how it went after the labor. Although, I can officially say that the cubes taste great, especially since it's summer and the weather has been a bit warm for my liking. I don't consider myself a writer by any means...in fact I don't even really like blogging...but you see, my dilemma is that I've got things to say and in this day and age when you have something to say, you blog! So here it is.